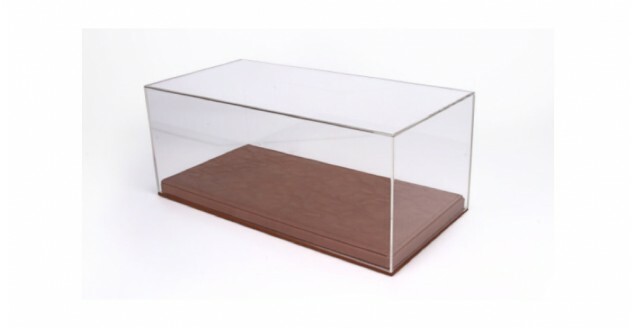 A Brown / Tan Leatherette Base & Clear Display Case for 1:18 scale model cars, with dimensions L328 by W168 by H135mm. Showcase also guaranteed against UV rays of the sun. 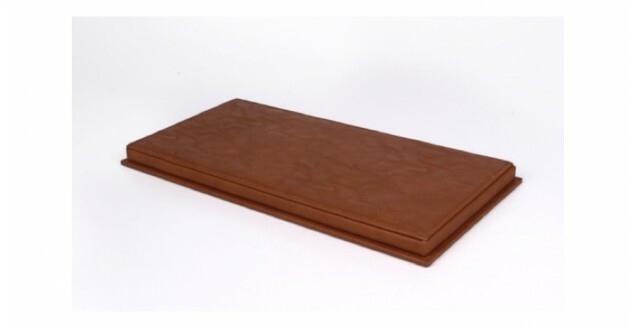 Leatherette base hand-stitched and glue bonded.